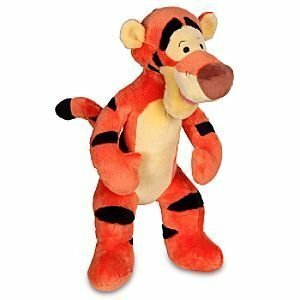 Tigger is a tiger, and a very bouncy one at that. He does not appear in the first Winnie the Pooh book, only in the second. Tigger is met with some Suspicion by the other animals when he appears, partly due to his newness and partly due to his bounciness. However, they learn that his bounciness is really harmless enthusiasm more than anything, and although they try to unbounce him at one point they soon realise their Mistake. Tigger doesn't know what his favorite food is when he first comes to the forest, but after a process of elimination he discovers that it is extract of malt.